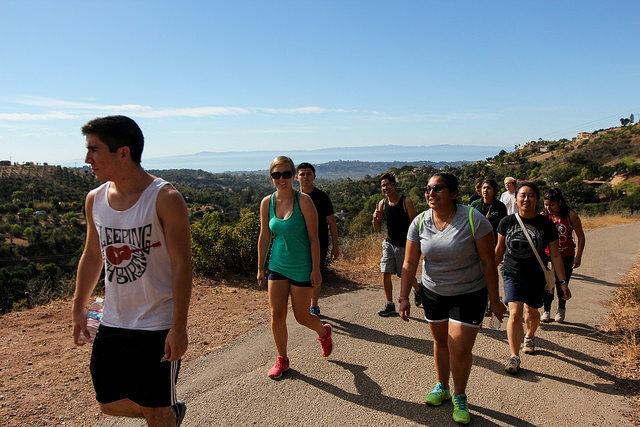 Last Saturday, we did perhaps the most hiked trail in Santa Barbara: Inspiration Point. Despite the 100 degree weather, we made it to the top. And it was inspiring. Right there is pretty much all of Santa Barbara. We're luck to be sandwiched between the mountains and the oceans. Afterwards, the some of the A2F Team drove all the way over to the trail head just to deliver lunch! Thank you!